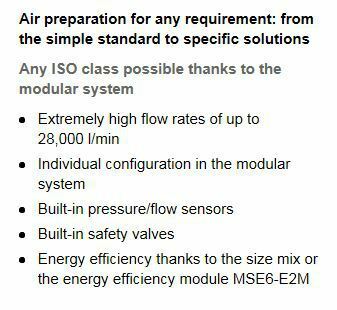 Festo MS Series: Air Preparation for Perfect Compressed Air Quality - Allied Automation, Inc. If you want to improve the process reliability and availability of your machines, the first factor you need to look at is your compressed air supply. Particles, water and oil are the natural enemies of perfectly prepared compressed air. They have an adverse effect on the components and cost additional energy. One cubic meter of untreated compressed air contains almost 200 million dirt particles and a lot of water, not to mention oil, lead, cadmium and mercury. 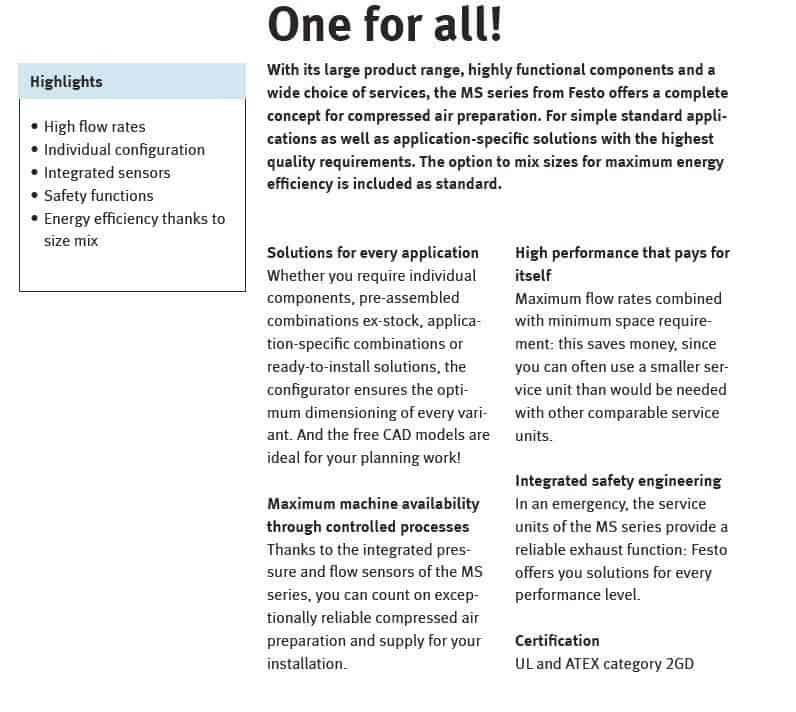 These components are a risk to the functionality of your machines. What your machines need is clean compressed air. Clean compressed air can be achieved using air preparation. How clean your compressed air needs to be depends on your application and the compressed air quality it requires. 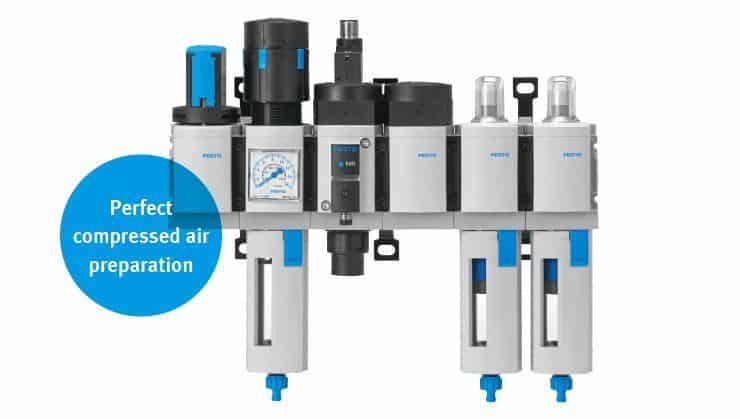 Call us at 800-214-0322 for more information on our Festo Air Preparation Products.